Chinese Cosco Shipping Corp. is in talks with shipyards in China to order about 25 massive ships that will move bauxite from the West African country of Guinea for aluminum production in China, people involved in the matter said. The move is part of a plan by state behemoth Aluminum Corp. of China (Chalco) to invest $700 million in Guinea’s Boffa project for a steady supply of the commodity over the next decade. Cosco is looking to add to its fleet on the back of a long-term contract with Chalco to move aluminum to China. Guinea is a hotbed of mining activity in recent months as aluminum firms from the U.S., China and Russia, try to carve out a piece of its massive bauxite-ore deposits used to produce alumina and aluminum. About seven billion metric tons, or a quarter of the world’s bauxite resources, are estimated to be in Guinea. Shipyard officials in China said Cosco is looking to order capesize vessels, the biggest ships that move commodities such as bauxite and iron ore across the oceans. The order price is expected to be around $1.5 billion. Demand for aluminum shipments is expected to grow steadily over the next years, according to brokers in Singapore and London who work on forward cargo contracts. China is the world’s biggest importer of the commodity. Boffa is a coastal town in Guinea at the mouth of River Pongo. Chalco said in May that it will initially invest $164 million in a bauxite mine, a mining port and transportation facilities in the area. 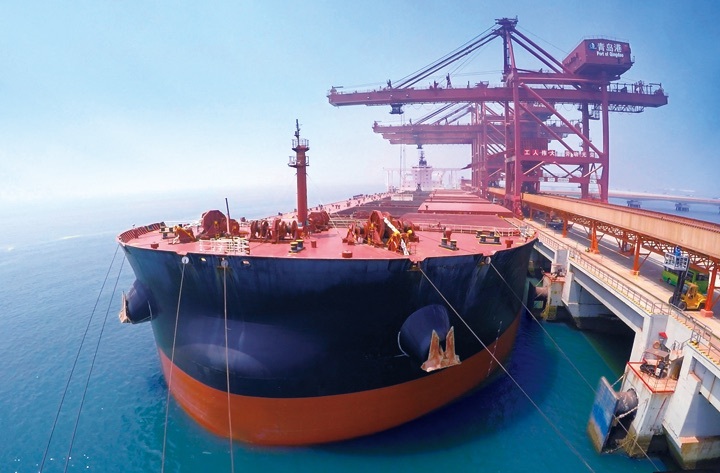 The order by Cosco Bulk Shipping, the dry-bulk arm of Cosco Shipping, is set to be completed next year and the first ships will be delivered in 2021. Cosco Bulk currently operates more than 400 vessels. Chalco—listed in New York, Shanghai and Hong Kong—is the world’s third biggest aluminum producer. It has been involved in Guinea since 2012 as a partner of Anglo-Australian miner Rio Tinto at the Simandou iron-ore project, in which it holds a 40% stake.